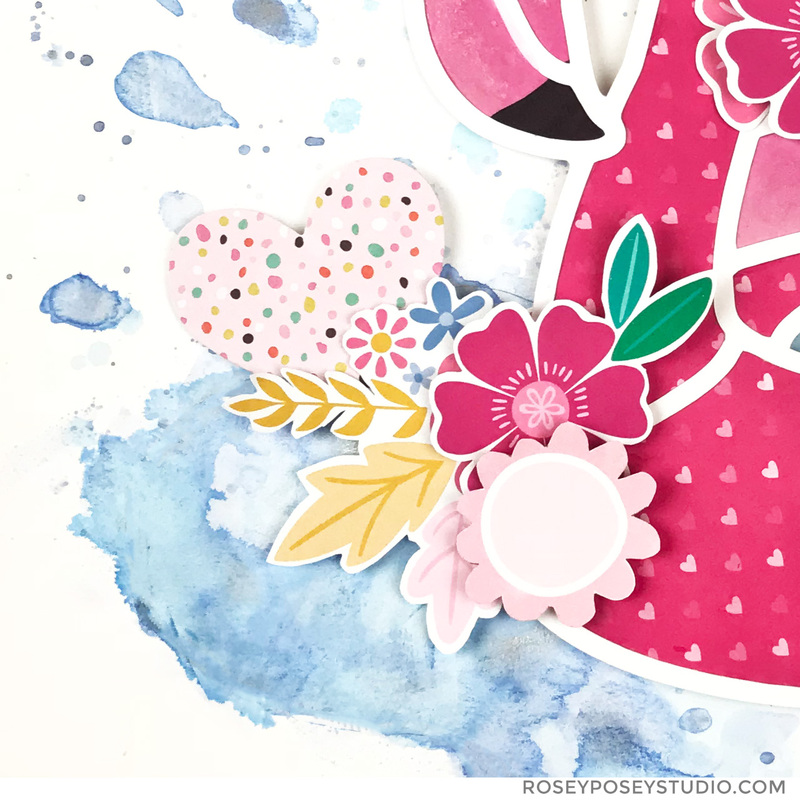 Paige offered a super cute Flamingo Pool Floatie cut file for free in her Happy Scrappy Group and I just had to use it! 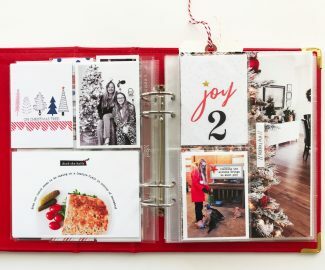 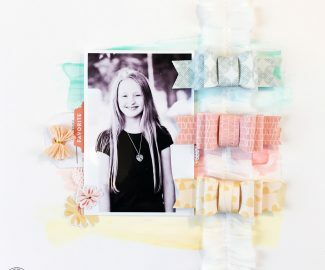 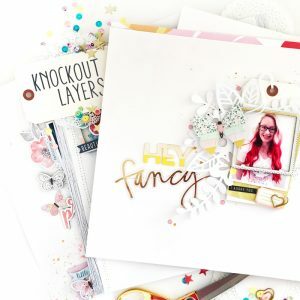 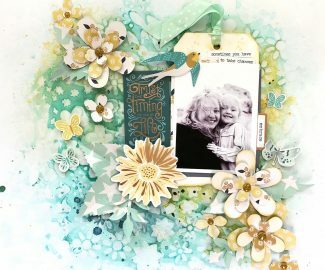 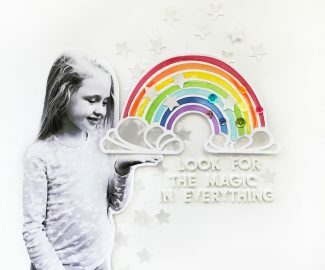 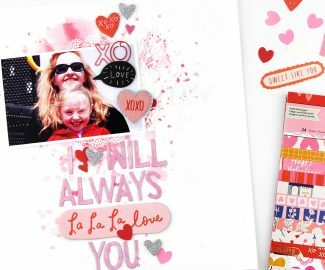 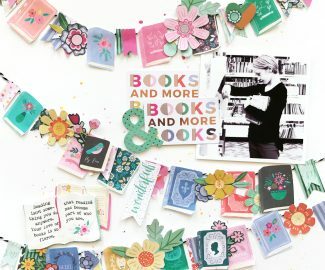 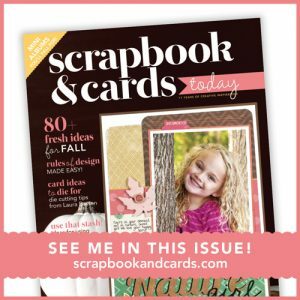 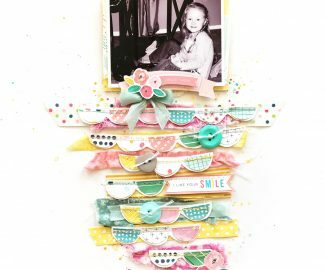 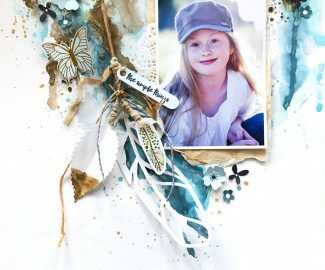 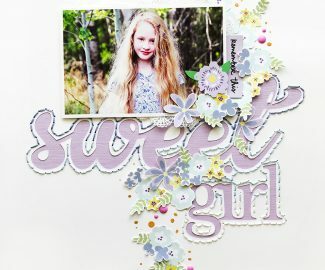 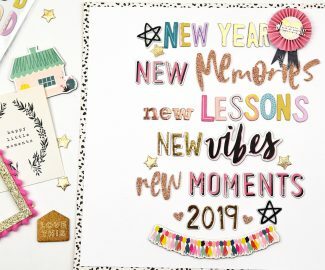 The group is free to join and has loads of inspiration for using Paige Evans cut files and collections! 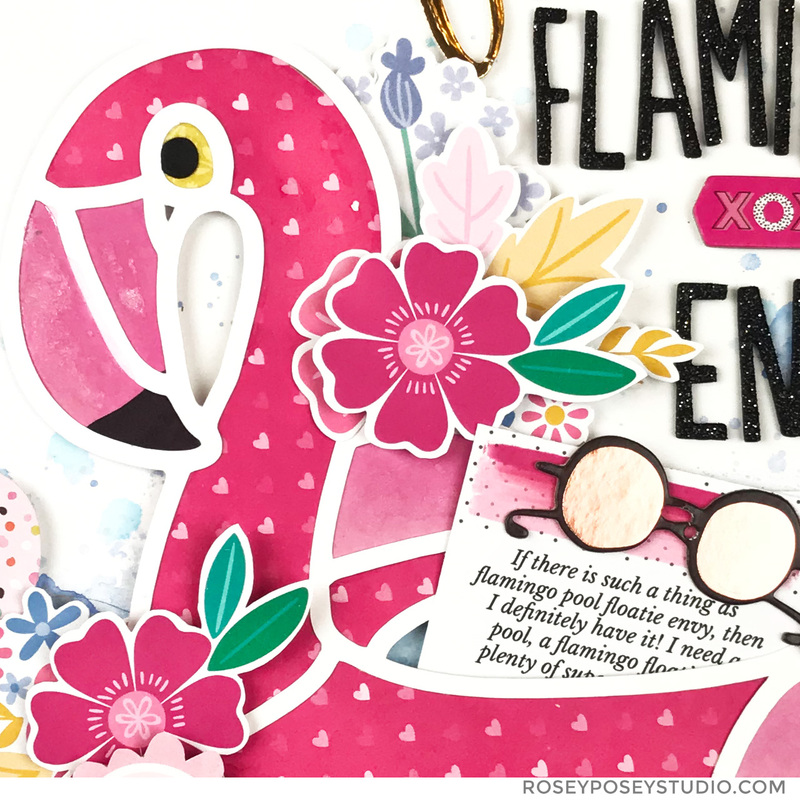 I had to make my flamingo pink and went straight for Oh My Heart! 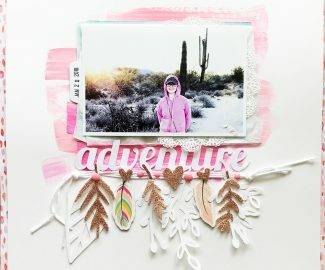 I backed the flamingo in two of the pink papers and left the middle ring open for my journal card since I do not have a flamingo floatie! 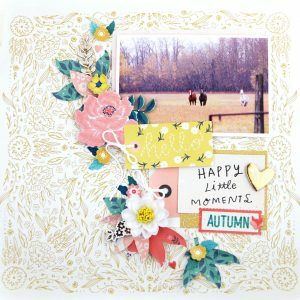 I added lots of pink flowers and attached the sunglasses to my journal card to make it easy to pull it in and out. 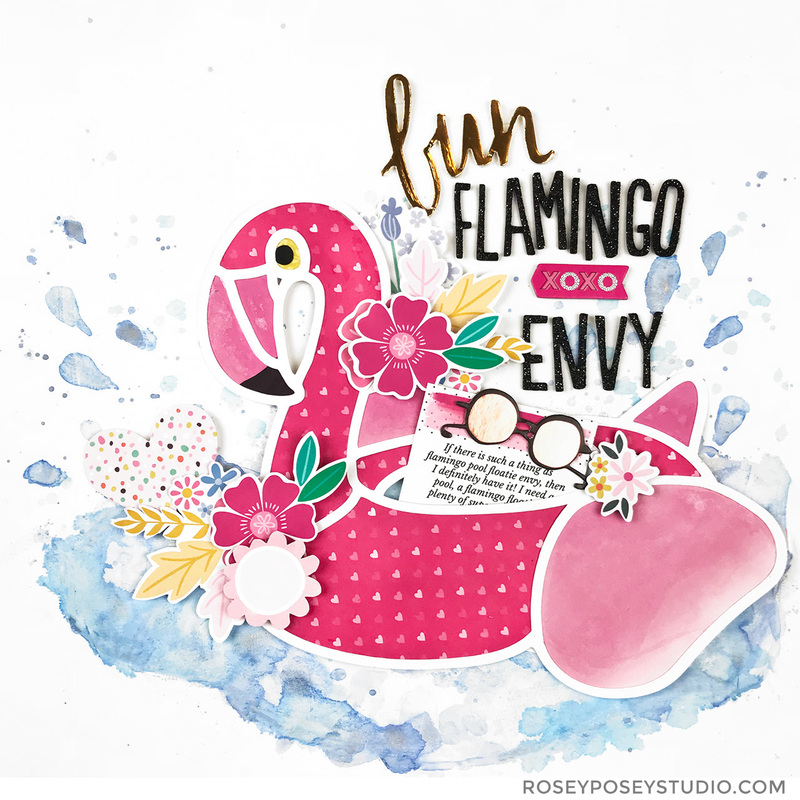 I didn’t want the flamingo to be stranded so I painted her a pool and some splashes!! 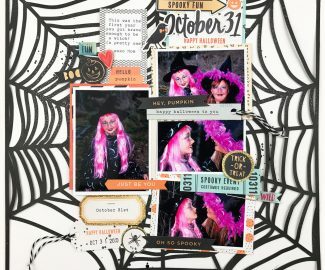 It was so fun to make this page!